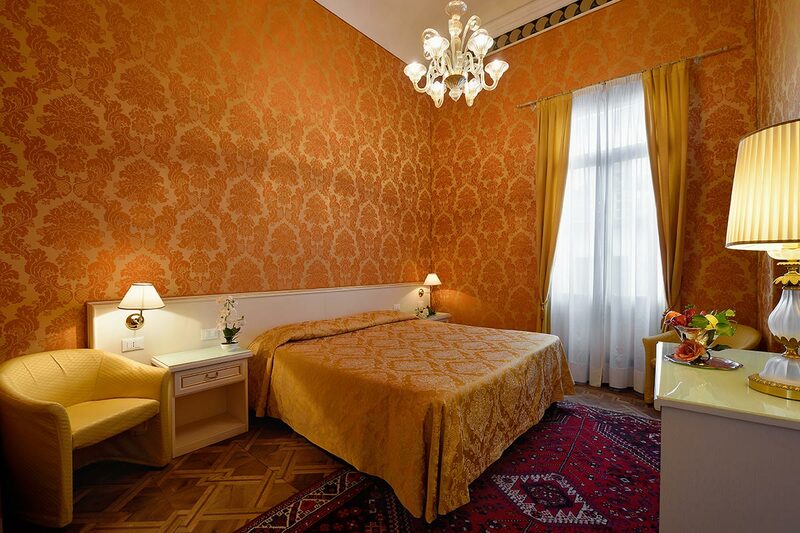 This B&B is the best solution for big families or groups of friends looking for a stay immersed in a total privacy enjoying an elegant and comfortable atmosphere . 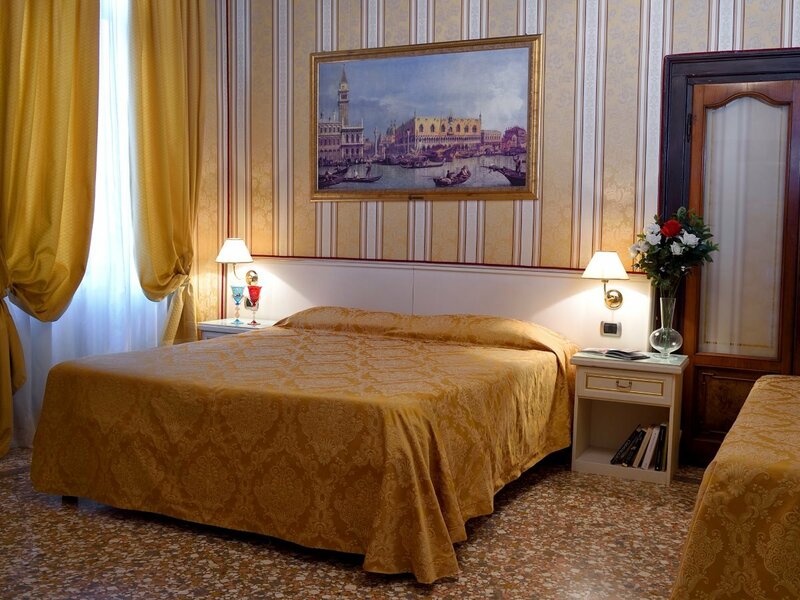 It is especially addressed to the guests who prefer the accommodation in adjoining rooms having also available a private breakfast room and a prestigious living area with armchairs and sofa . 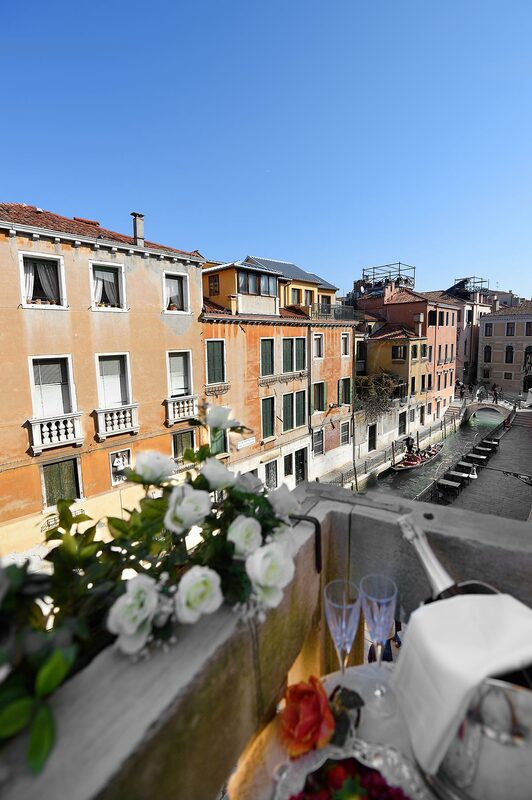 The "Sansovino" salon , a stunning and vast living area with balcony facing the Osmarin canal where the guests will can enjoy their breakfast time starting the day immersed in an atmosphere of absolute relax and privacy. 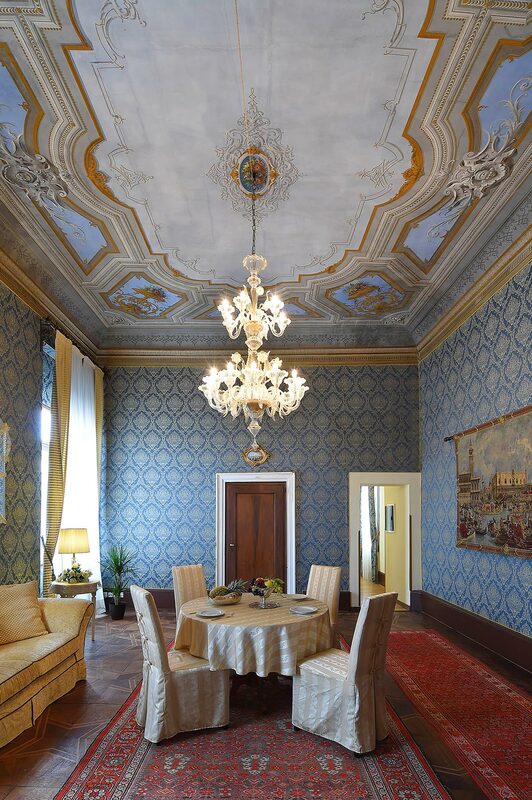 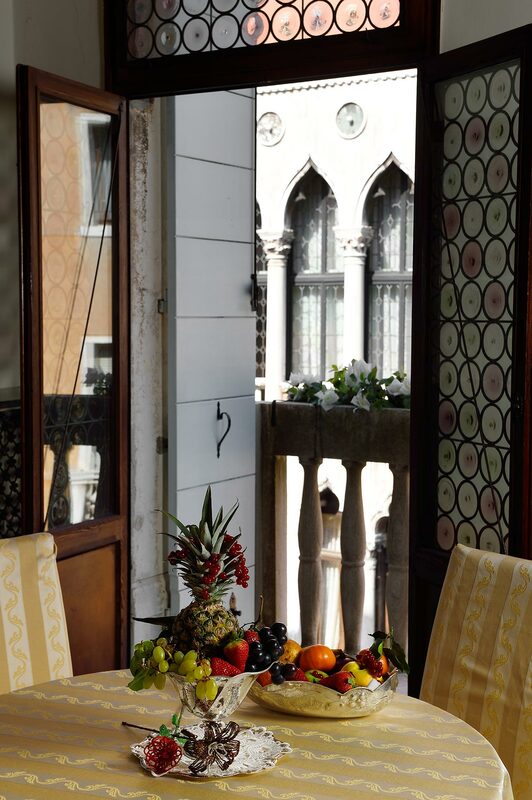 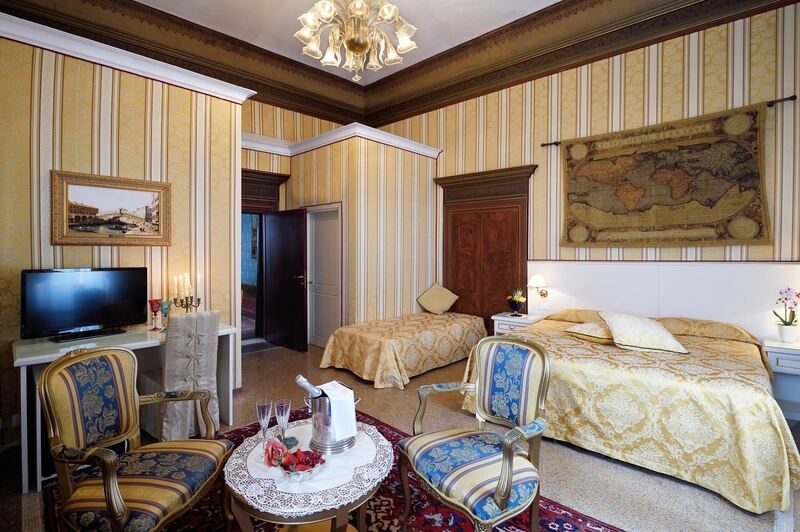 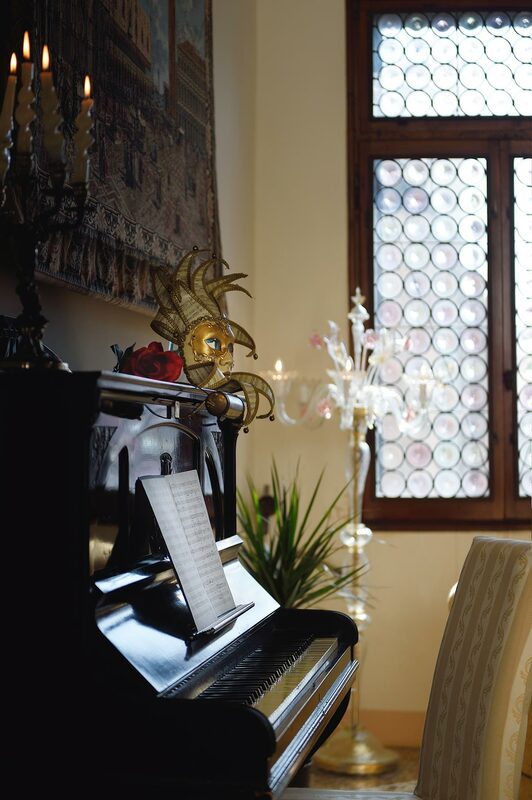 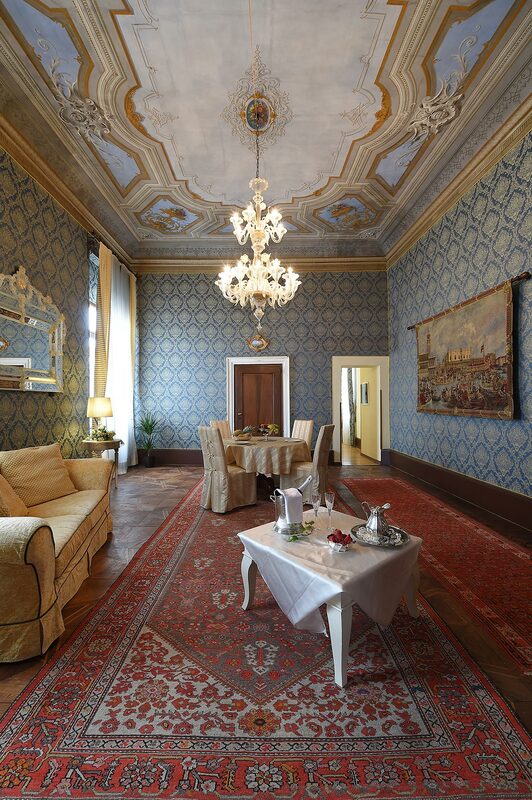 It is furnished in a typical Venetian style with exposed beams, tapestries, a piano and an original antique library. 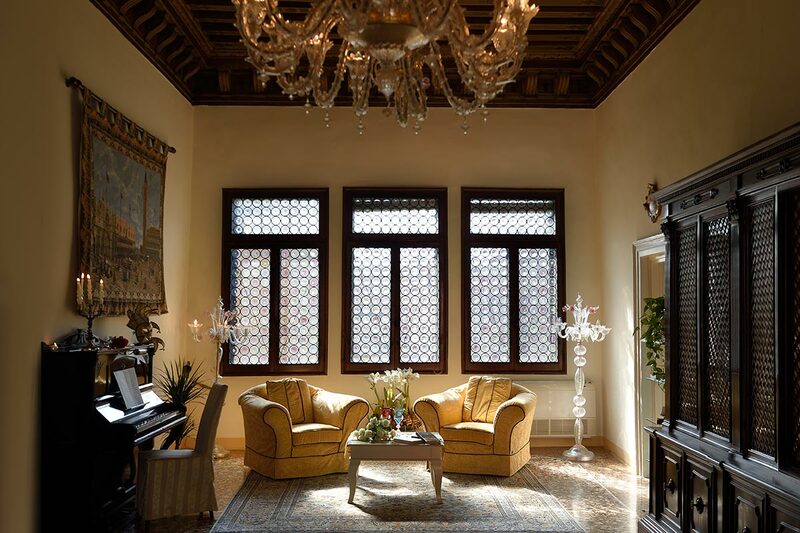 The central luxurious more arms chandelier called “Barchessa”, a really masterpiece work of the glass blowers of Murano, gives the name to this salon. 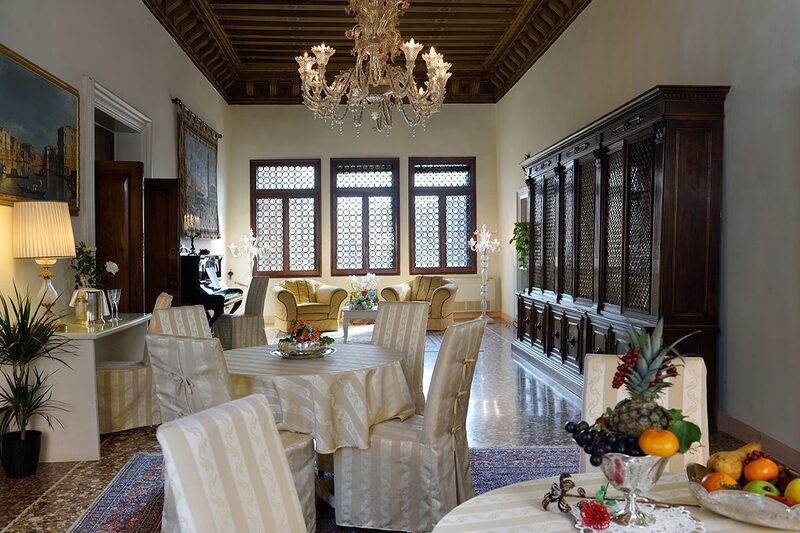 The “L’ Affresco" salon , a sumptuous living area with view on the bridge and the bell tower of Greci where the guests will can enjoy their breakfast time starting the day immersed in an atmosphere of absolute relax and privacy. 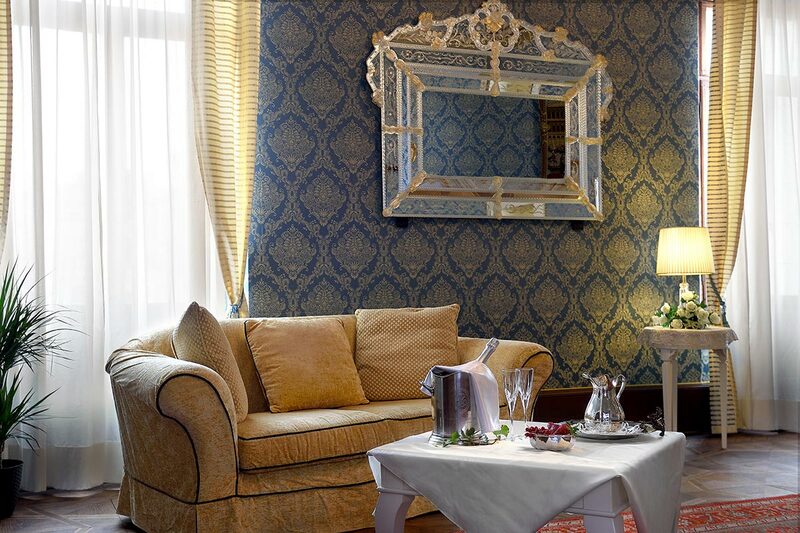 Furnished in a typical Venetian style with tapestries and blue damask, this salon is embellished by the fresco from which it takes its name.